Whether you are a parent wanting to sign your child up in martial arts classes, or you are interested in training yourself, the basic principles in choosing a martial arts school are the same. You first have to decide what you want to gain by taking martial arts, and then you have to find the best school and instructor that best matches that need. Let’s take each step one at a time. Why do you want to train in martial arts? Maybe your reasons include all of the above, and that’s fine, but try to find the one or two reasons that are most important to you. For example, are you looking for just a little light recreation? Then a community center program may suffice. However if you want all of the benefits martial arts has to offer, like self-defense or personal development, then you are going to need a full-time professional school. Deciding what you really want is a very important step in choosing the best school for you. After you have decided what you want from your training, the next step is to find the right place. There are several factors you should consider in choosing a school. You will want to consider things like; finding the right instructor, the cleanliness and distance of the school, the price for classes, finding a suitable style of martial art, and safety considerations. Let’s look at each of these factors a little more closely. What is your impression of the instructor? You should realize that a big factor in choosing the right school is really choosing the right instructor. Here we are talking about the instructor’s personality and teaching style. It’s tough making an informed judgment about a person in a brief meeting, but usually you are going to have to trust your gut here. Intuition and first impressions, while not always correct, often turn out to be true. Be sure to visit the school, meet the instructor and have a look around. How does the instructor greet visitors and how do they treat the students? A professional school will have a friendly atmosphere, lots of smiles and be well kept. You’ll feel comfortable with the personnel and the facility. While this may not end up being the closest school to your house, when it comes to your safety or the safety and education of your child, an extra ten-minute drive can make a world of difference in the outcome. This is an important one. Dirty gyms can transmit staph and a lot of other nasty things that you would rather not find out about. Good gyms however are vigilant about sanitizing their equipment on a regular basis. Don’t be afraid to ask how often the instructor has the equipment cleaned and sanitized. Sometimes you’ll know everything you need just by looking around. This doesn’t mean that the school has to be as immaculate – a little dust here or there doesn’t hurt anything. But if you see filthy mats or blood on the walls, it’s time to look elsewhere. Finally, while claims against schools are very rare because the training is very safe, many schools are not insured, which is a mistake. Make sure your school is insured and the instructors are attending seminars and workshops on teaching safe classes.If you are interested in moving further, feel free to check out the resources at http://www.personalprotectionforyou.com for home based training martial arts training programs. 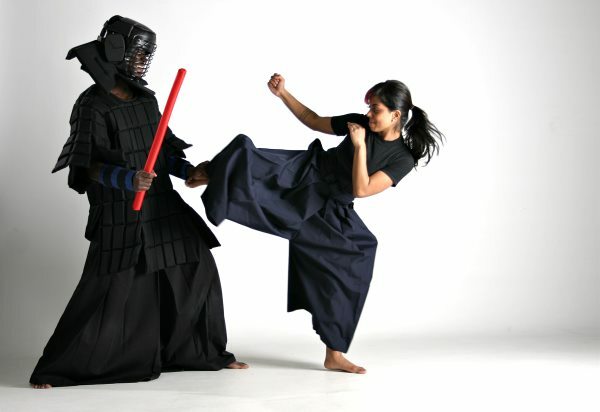 Various types of martial arts exist, with each of them having a unique purpose in combat. Some of these styles have been around for centuries, while others were developed in more modern times. What all of these styles have in common is they teach a form of fighting to their followers and allow these individuals to defend themselves when necessary. Boxing is one of the most well-known martial arts in the world because of its popularity as a sport. It is believed that boxing began in 688 BC at the Olympic Games in Greece, as records show people punching each other at that time. Boxing was also popular in Rome during the same time period, with combatants wearing primitive forms of gloves and contents often ending in death. Full Contact Kick boxing developed from Thai-Boxing and other Martial Arts influences, the first bouts being seen in the early 1970’s. These days however it seems to be lighter contact, with a large emphasis placed on light fast strikes scoring points. Muay Thai originated in Thailand sometime between 1238 and 1377, as it was prevalent during the Sukothai Era. There are a few different aspects to Muay Thai, including kicks, punches, knees, and elbows. A clinch is also used by many practitioners as a way to expose an opponent to these strikes. One of the more popular grappling arts in the world is called Brazilian Jiu Jitsu, which is mainly based on ground fighting, although it does incorporate takedowns. Submissions are the main weapon used in Brazilian Jiu Jitsu, as practitioners can either choke an opponent out or manipulate, or break, joints using pressure. Wrestling is often recognized as the first martial art, as its origins go back as far as human beings have existed, as cave paintings depicting the sports are as much as 15,000 years old. More modern versions of the sport have been around since around 1100 AD, which was when it began to appear in Europe. Wrestling generally involves takedowns and ground fighting, although various forms exist. Japanese Sport – Developed by Jigoro Kano from Ju-Jitsu, infact it was originally known as Kano Ju-Jitsu. These days it’s all about competition, it’s translated as the Gentle Way, though quite often the gentle side seems to be forgotten and there is a lot of strength used. A Russian Martial Art, that has split into 3 different areas, it has a pure sport side, that whilst it has been demonstrated at the Olympic Games, has not been recognised by them. A lot of similarities to Judo. It also has a practical self-defence side as well, looking at defensive techniques, lastly it has combat Sambo utilising tecniques from both of the above as well as its own, and applying its own nasty twists.